At the age of 6 weeks our daughter Samantha (“Sami”) was introduced to winemaking when Brenda and I dipped her feet into a bucket of fermenting Cabernet Sauvignon to make footprints on a sheet of paper for her grandparents in the US. This was of course her first taste of Barossa Cabernet. Now 15 years old, Sami loves sport – particularly netball and tennis – and playing the cello. Now in those vintages when we experience a special Cabernet vintage we’ll release a small quantity of a single varietal “Sami Cabernet” from the small planting of Cabernet Sauvignon grown on the St. Jakobi Vineyard. 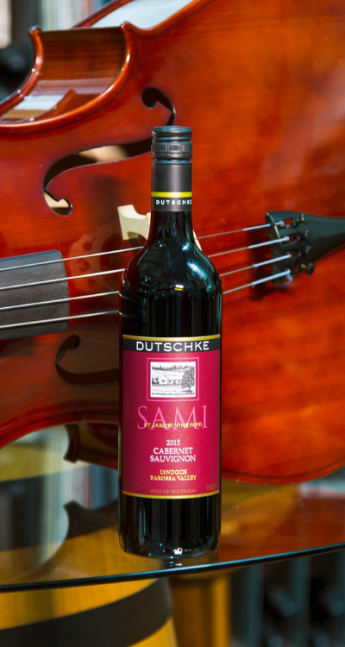 The 2015 Sami Cabernet Sauvignon shows wonderfully flavoursome varietal characters of blueberry and blackcurrant, and having been aged in new and one year old French oak hogsheads for 19 months, gives us spicy oak characters that complement and marry into the wines sweet fruit rather than dominate it. Machine-harvested, open-fermented, 10 days on skins, matured in French hogsheads (33% new) for 18 months. The Barossa struggles to achieve X-factor with cabernet, but this goes oh so close. Its colour and bouquet are impressive, as is the juicy cassis fruit and fine tannins, quality French oak adding further to the wine, the length admirable. 2015 is a vintage that unites detail and fragrance with structure and endurance, capturing the varietal hallmarks of Cabernet that we love, structured with a high-tensile frame that beckons a long life in the cellar. Nothing of the fleshy presence and allure of the Barossa is lost along the way.